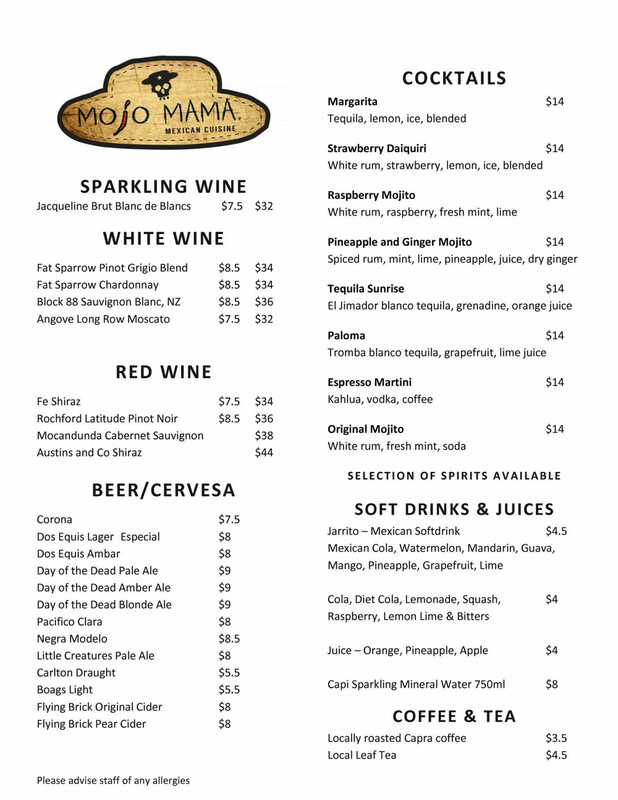 There’s something for everyone at Mojo Mama. 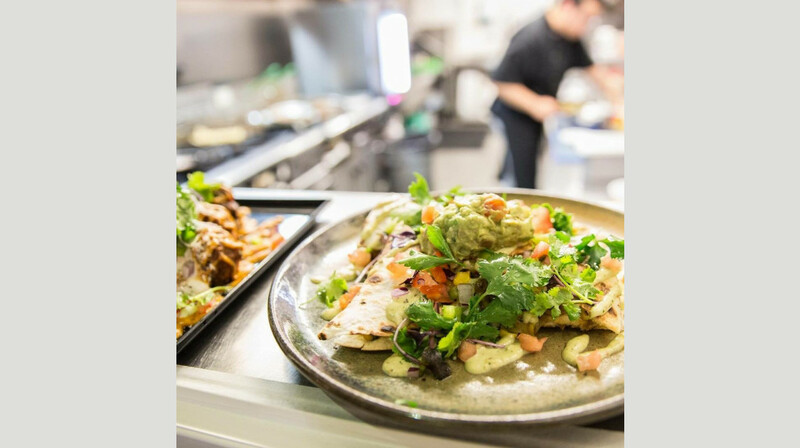 Born from the simple idea of bringing fresh, tasty and vibrant food to Geelong, you’ll find a range of delicious dishes inspired by Mexican street food. 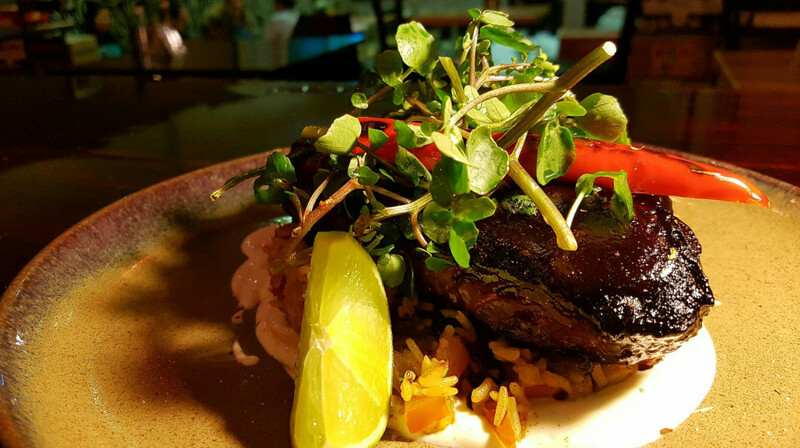 The dishes boast fresh and healthy ingredients and much of the menu is gluten free. 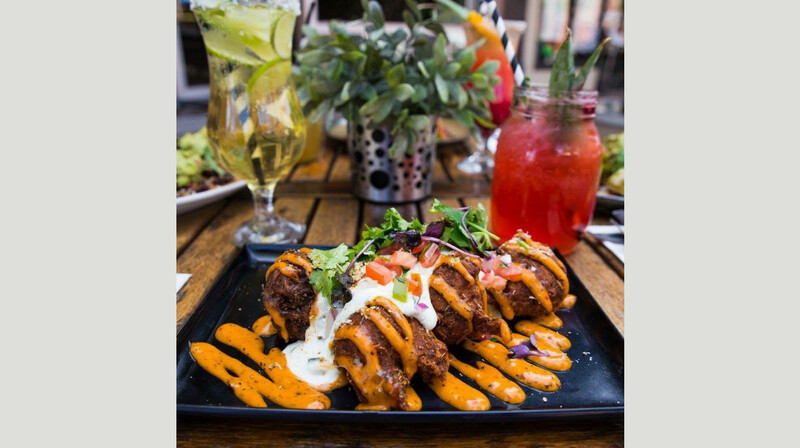 Think shared plates like nachos, sticky BBQ wings and sweet potato fries. 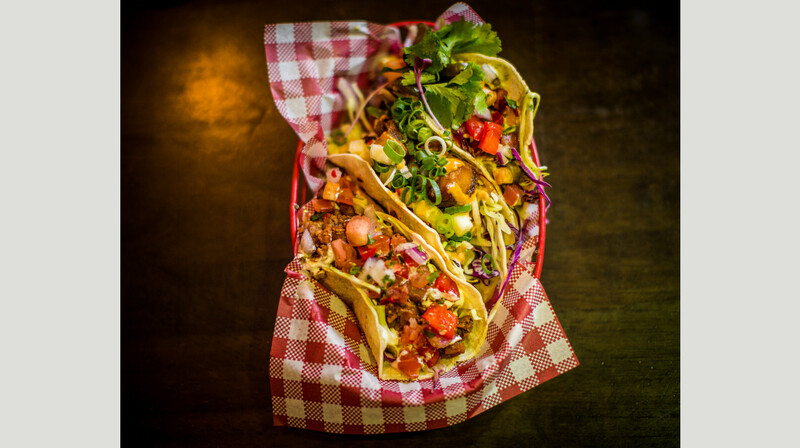 Or, opt for tasty tacos filled with pumpkin, chicken, crispy pork and more. 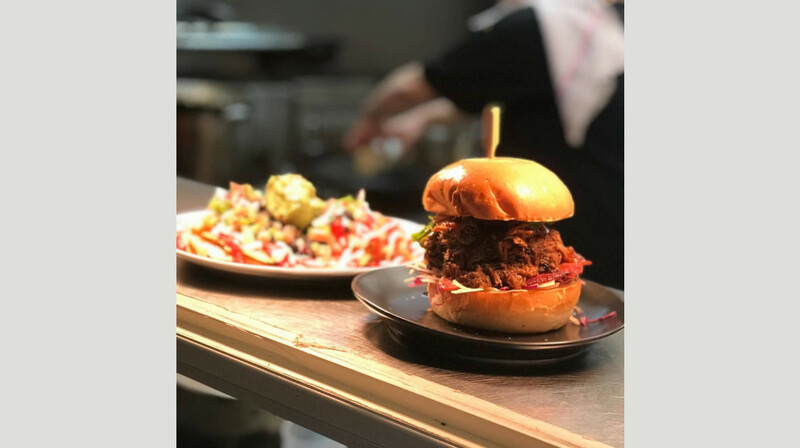 On the main menu, there’s the drool-worthy pulled pork burger with bacon and slaw and sticky pork ribs with spiced plum sauce. No Mexican meal is complete without a refreshing drink, so check out Mojo’s great selection of imported beers like Oche Reales, Dos Equis and Negra Modelo. 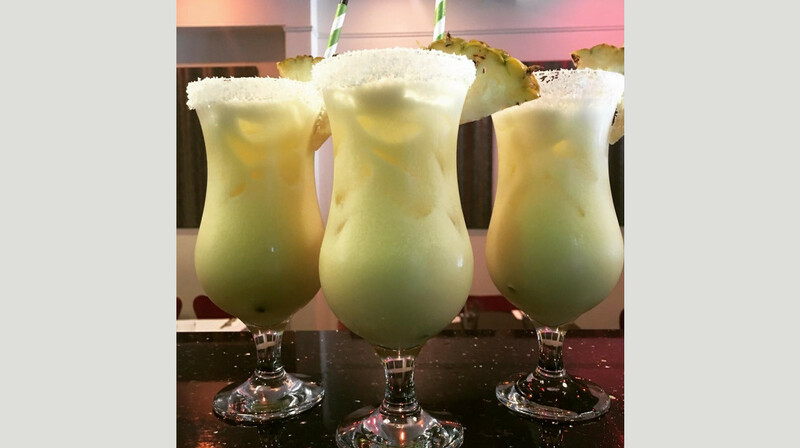 Mexican soft drinks and frozen margaritas and daiquiris are on offer from the bar too. Love this place! Always such delicious food - I can't get enough of it. Easy to book a table, great layout, convenient location .... it's got everything. 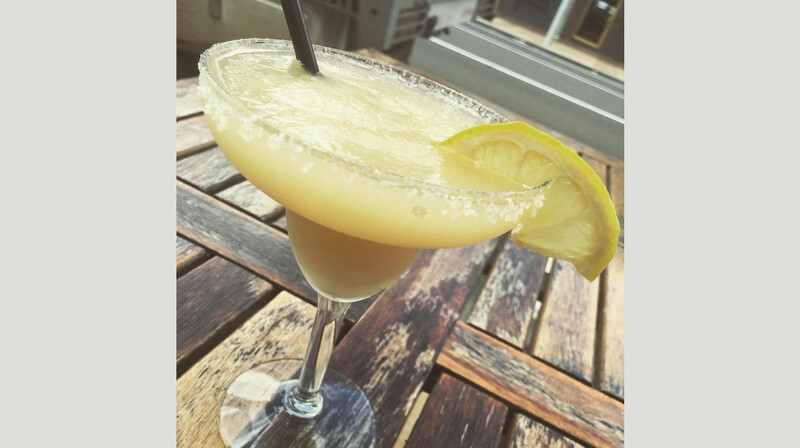 Mojo Mama, more like Mojo Margarita! Fantastic margaritas followed by some really tasty food! Sweet potato fries were amazing ! Mojo mama is a hidden gem. Never knew this place existed 7ntil I found first table. Meals were delicious well priced and staff were good. The two waiters did an excellent job and gave great service during a very busy night. Will definitely be eating at Mojo Mama again. Delicious food and lovely venue. Great service and awesome food. Very tasty and delicious and all at a great price. The staff were absolutely amazing! The girl that served us was super helpful and friendly and even asked the chef to create me my own taco! 10/10 will be back again! We enjoyed our first visit to Mojo Mama's. 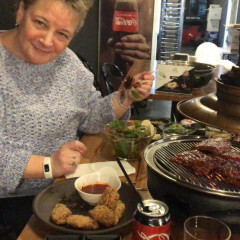 The menu is interesting and offered a fair choice, our food was excellent and we had a very enjoyable meal. The service was attentive, friendly and helpful with our questions. We will return! Thoroughly enjoyable dining experience, friendly and efficient staff, yummy food! The service was great. The food was very nice. All fresh food. With lots of flavors. Definitely go back. Had a wonderful evening, the food was tasty, fresh with generous portions. Would highly recommend the restaurant! Great food, great food, great concept.. the only issue is that we ate too much! Great service and cocktails! 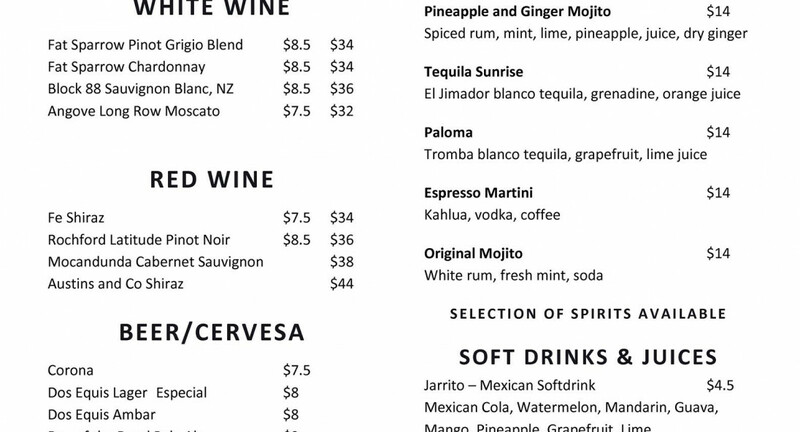 I reccomend the mojitos! Food was amazing, best mexican I’ve had in a long time! Always good food here! Great service too. 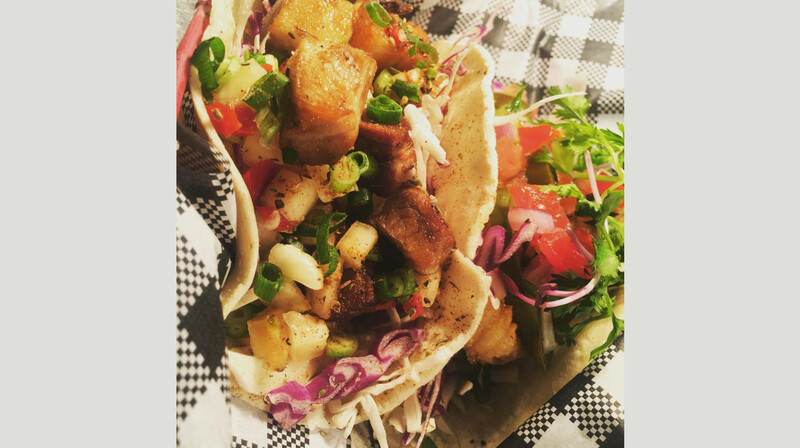 The highlights were squid and pork tacos. Delicious! Will be back as food is fresh! Nice atmosphere to restaurant. Food was very fresh and great flavours. Would definetly return. 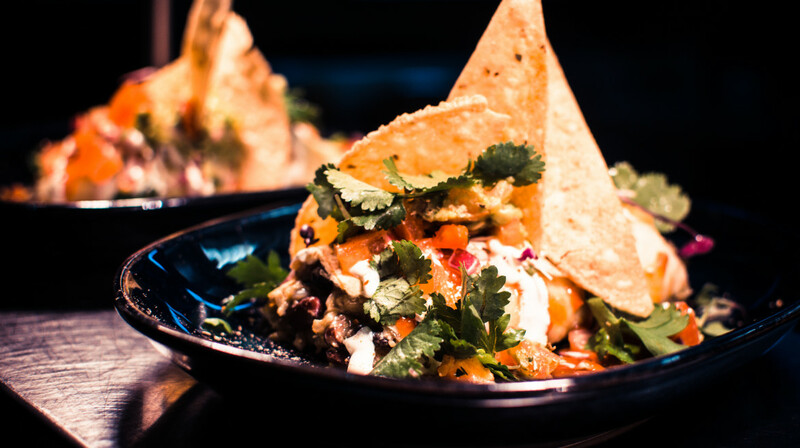 Great food, there’s no better Mexican food in Geelong. The venue has a nice vibe to it and the food was so yummy! 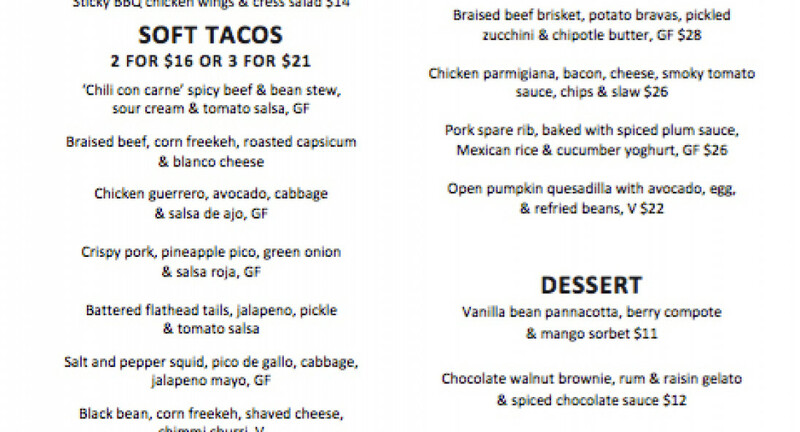 The pulled beef tacos and the chicken enchiladas are a must try! The staff were friendly and attentive and the food came out really quickly! We will definitely be back. Great deal, good food, perfect time to eat for our family. Great service. Mojo Mamas was a great experience. 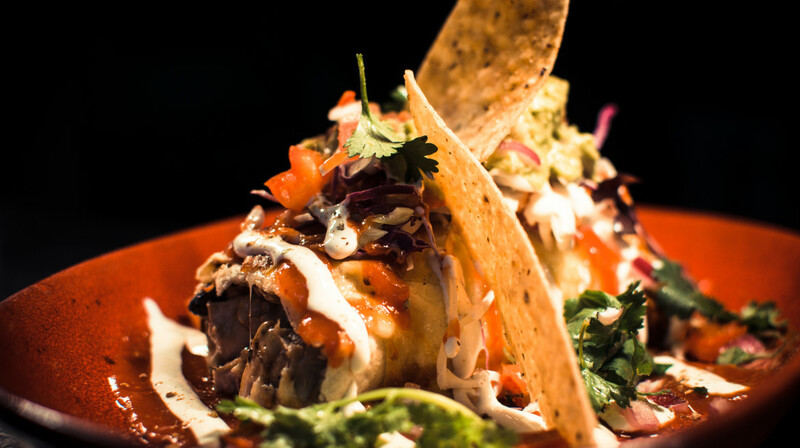 This place serves Mexican with a twist ! Yummy tasty food. We loved it ! We were warmly greeted by the waitresses who had our table prepared. The fact that we had a newborn baby in tow was no problem for them and we were easily accommodated. The restaurant filled up very quickly and I can see why. The Food. The reason I wanted to go was I had had cravings for Mexican food for a while and given up on most places with this cuisine as the food always tastes pre cooked and reheated. This was the exception. The food was plentiful and very tasty. 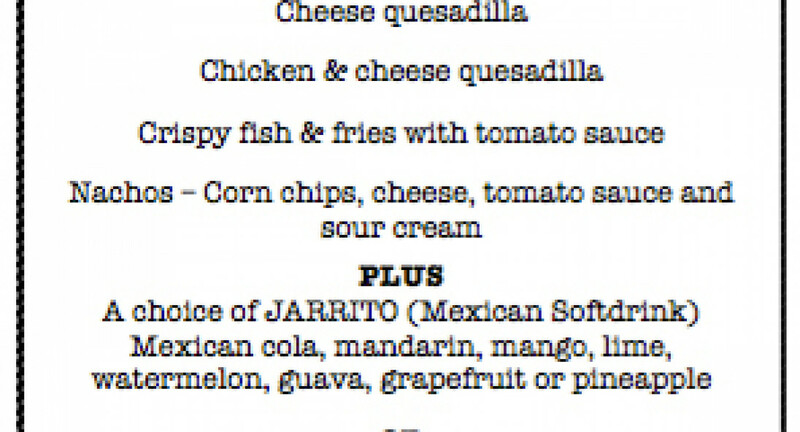 The menu varied from other Mexican restaurants and offered a wide variety of choice. After a large shared plate of nachos complete with all the toppings, I devoured my beef brisket dish. This was not only delicious but cooked to fall-off-the-fork perfection. I highly recommend this Geelong restaurant. We will definitely return. We were a bit worried at first going in as first table. I think we felt we might be treated as secondclass guests because of the discount. Wow were we surprised. Excellent service excellent food excellent cocktails. 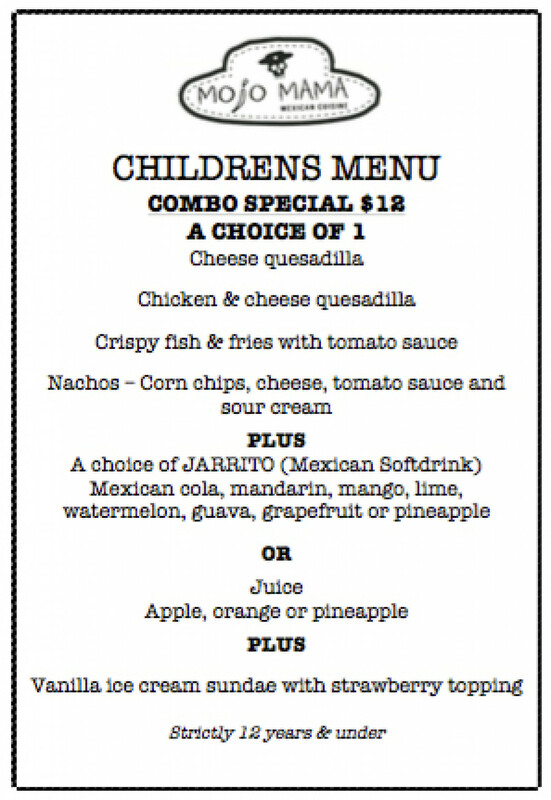 We have get togethers for family once a month without a doubt mojo mamas will now be on our list. My partner whose a fussy eater was still raving about it the next day. Fantastic venue inside. The restaurant was very busy and it felt as if they were understaffed on the floor (we had to wait a bit for service etc.) In saying that, the staff that were on the floor were worked off their feet and clearly were doing the best job they could. The food was fantastic. 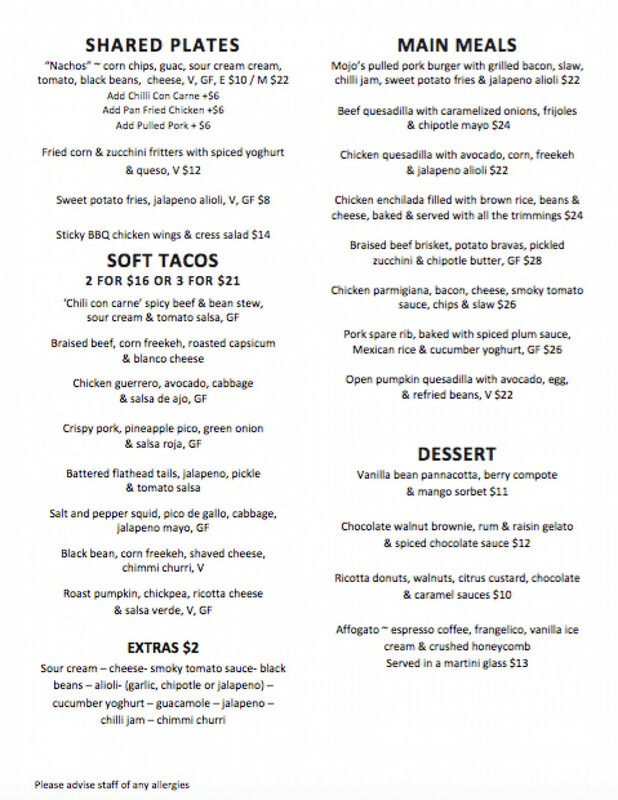 We had a pulled pork burger and a selection of soft tacos. The tacos were fantastic! It was great to be able to pick a variety of tacos so that you were able to try a little bit of everything. There was a great selection of drinks - the Mexican soda's had some interesting but delicious flavours ( watermelon and guava!). My husband and I both had dessert (Pannacotta) which was delicious and presented beautifully. We will definitely be back! Thank you Mojo Mama for a lovely dinner! Tips: Definitely ring to book a table as the restaurant was almost full at 6 pm.